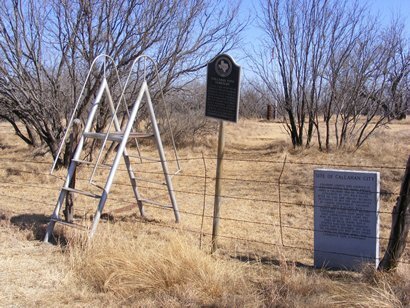 Stores appeared to supply traildrivers, and with the arrival of settlers, they started stocking items for permanent residents. 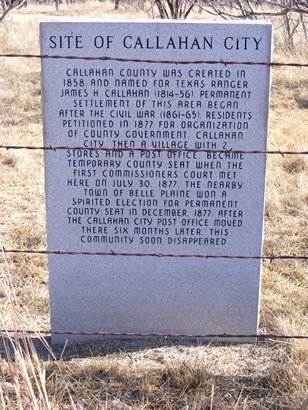 The first Callahan County Commissioners Court was held here in July of 1877, but despite having the advantage of it�s name � it lost county seat status to Belle Plain in December that same year. 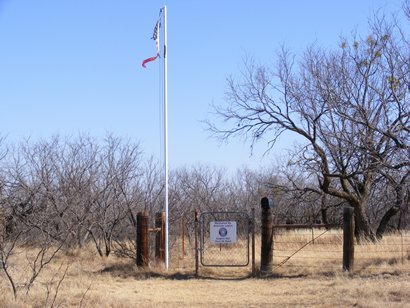 Belle Plain hardly had time to gloat � they lost their county seat status to Baird a short time later when the Texas and Pacific Railroad came through, bypassing both towns. 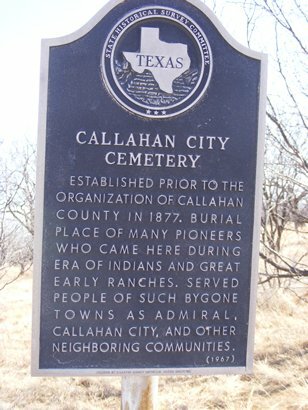 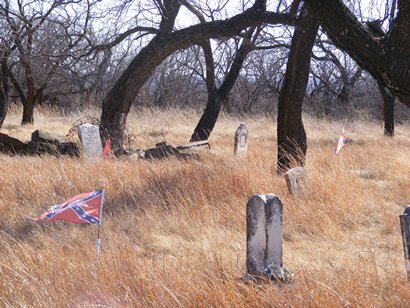 A cemetery (shown on county maps) is now all that remains of Callahan City.